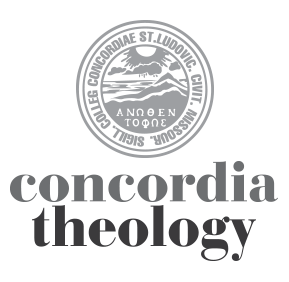 Concordia Seminary, St. Louis hosts a number of centers led by individual faculty members to provide theological leadership and expertise to Church and world. The Center for the Care of Creation seeks to articulate and promote a deep Christian appreciation of life within creation, rooted in Scripture and Lutheran theology. Concordia Seminary’s Center for Hispanic Studies (CHS) seeks to be the premier resource in The Lutheran Church—Missouri Synod (LCMS) for ongoing reflection on Hispanic/Latino theology, missions and related areas. The Center for Stewardship assists individuals and congregation in understanding what the Bible has to say about Christian stewardship: the believer’s whole life as a response to God’s grace in Christ. Concordia Seminary’s Center for the Study of Early Christian Texts (C-SECT) aims to acquaint the church with the early church fathers and their contribution to Christianity. The Center for Reformation Research seeks to stimulate and support Reformation research through services to scholars, resource materials, bibliographical aids and publications. The Institute for Mission Studies aims at the integration of the mission on which Christ sends His people into the entire theological enterprise.